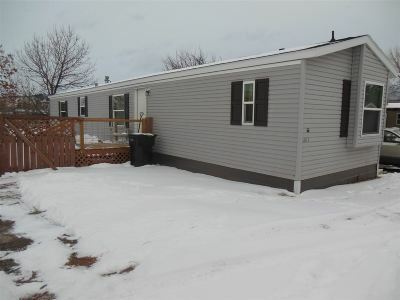 Call or text listing agent Fran Fremont at 605-641-0722 CENTURY 21 Spearfish Realty to show. Affordable living in this 3 bedroom, 2 bath mobile home located in Spearfish Valley Mobile Estates. Lot is fenced. All appliances included. Lot rent includes water, sewer and garbage. Dogs are allowed on approval of court owners for an additional $20.00 per month for each dog.